Mortgage Update Los Angeles: Making $100,000 per Year Family Income in Los Angeles? Why Are You Renting? Making $100,000 per Year Family Income in Los Angeles? Why Are You Renting? 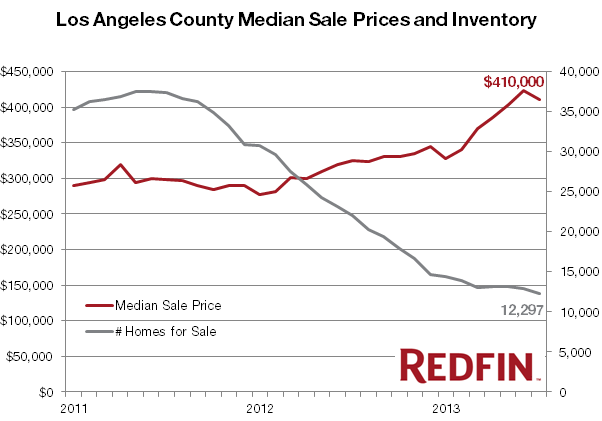 As commonly happens, the Los Angeles residential real estate market is totally out of step with the rest of the US. Specifically, the amount of income necessary to "afford" the median area rental unit is $97,000 per year (family income). Afford means that only 1/3 of your income goes toward the rental. This disparity has resulted in many families in this market paying 50% or more of their income for housing. What is much more interesting is this: A family with $100,000 in income can afford the media priced home in Los Angeles. Why would they continue to rent if they can own? One reason may be the continued low inventory of homes on the market. With many homeowners having no interest in moving, there just aren't enough listings to get the growing group of potential, qualified buyers to spend the time and effort necessary to get a home. The problem is clearly illustrated in the chart above. In February of 2015, the number is only up slightly to 14,340. Many of these homes are not highly desirable, as the desirable homes are getting multiple offers and moving off the market quickly. 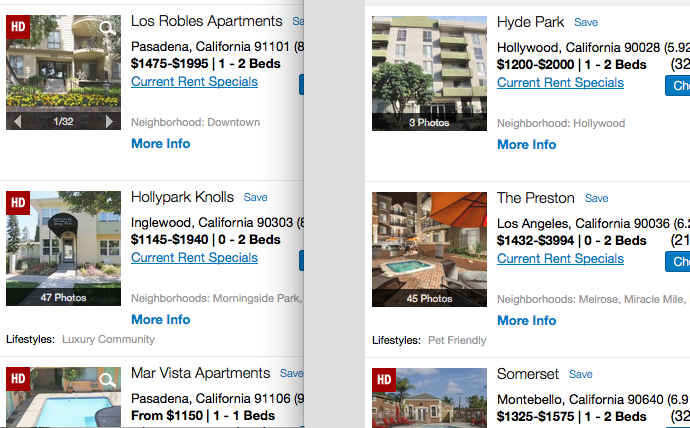 For instance, here is a Zillow shot of homes for sale South of the 10 Fwy from Culver City to Vermont. These homes are affordable, though not in great neighborhoods. Notice how few are for sales in that huge area. The choice becomes to rent, but the number of rental units is also low. This drives up the cost to rent. Ultimately the solution for many is to move way outside the area. This may result in expensive and time consuming commutes.